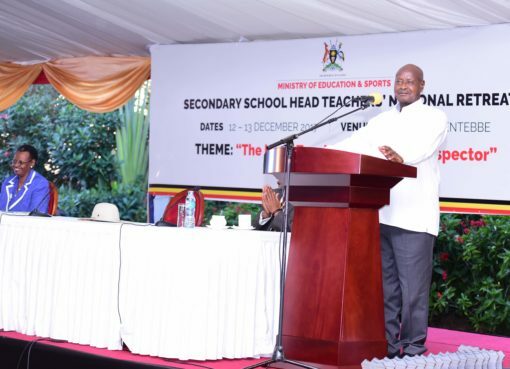 President Yoweri Museveni has emphasized the need for cultural institutions in the country to play their very important advisory role to society, especially the youth, to enable them navigate through life that is free of crime and conflict in order to promote peace as well as harmony. ‘The revival of cultural institutions needs to be defined correctly so that they play their role well,’ he said. The President made this remark yesterday while speaking at the 2017 Bamasaaba Convention and Festival, a cultural ceremony organised by Bamasaaba (aka Bagisu) in Uganda and diaspora at Malukhu Boma Ground in Mbale Municipality Bugisu Sub-Region in Eastern Uganda. The ceremony that ran under the theme ‘Empowering Bamasaaba through Unity and Development-Diaspora and Local Efforts’ kicked off in the morning with a five-kilometre marathon race. The function was characterised by various traditional performances that also attracted Bamasaaba cultural groups from the Kenyan side. The aim of the competition among various clan groups was to promote unity in the community. Bungokho clan was the overall winner among the 26 clans of the Bamasaaba in the Elgon Region that participated in various competitive cultural activities. President Museveni explained that the revival of cultural institutions needed to be defined correctly to enable the institutions play their advisory role well. He emphasized that the role of cultural leaders should be the one of sensitisation, to advise society especially the young people who need guidance while growing up so that they know how to navigate through life. “You know life is not easy. You can make all sorts of mistakes. You can end up with very bad results,” he said. He urged the cultural leaders in the country to talk to the youth with emphasis on the factor of good health adding that the youth should also appreciate that they have had good pioneers in their upbringing. 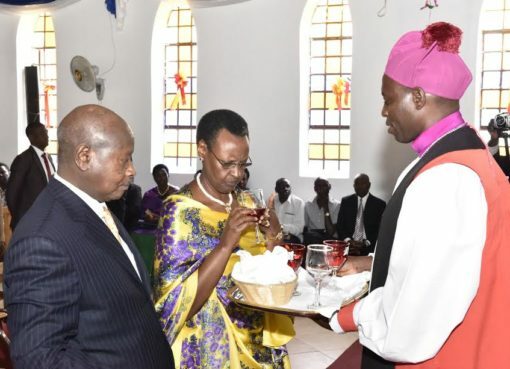 Mr. Museveni noted that peace observance in any society is a crucial element saying that even if there is no war, conflict or disharmony, there is no investor who can entrust his investment in an area that has no peace. “I urge you to introduce a culture of talking to each other very well in a peaceful manner”, he said. 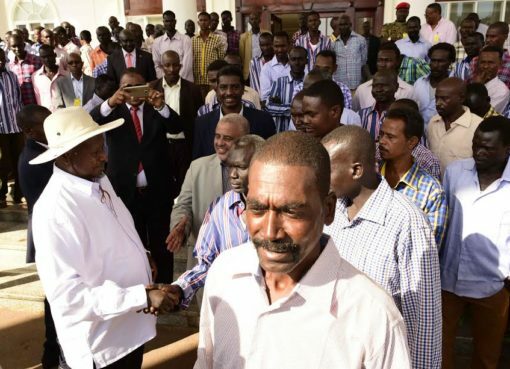 The President strongly warned the people of the Elgon Region on environmental degradation. “Government has outsourced about US$24 million dollars to be used to relocate people from endangered areas to good areas for better and alternative livelihood. We are building up that fund but I don’t know why the implementers are slow in this movement,” he noted. He said that at first people in those hills of the Elgon Region did not appreciate the problem but now, he added, they have known that it is a big problem. “I am glad that now people see the danger of environmental degradation and the need to be resettled and the money is not the problem,” he said. 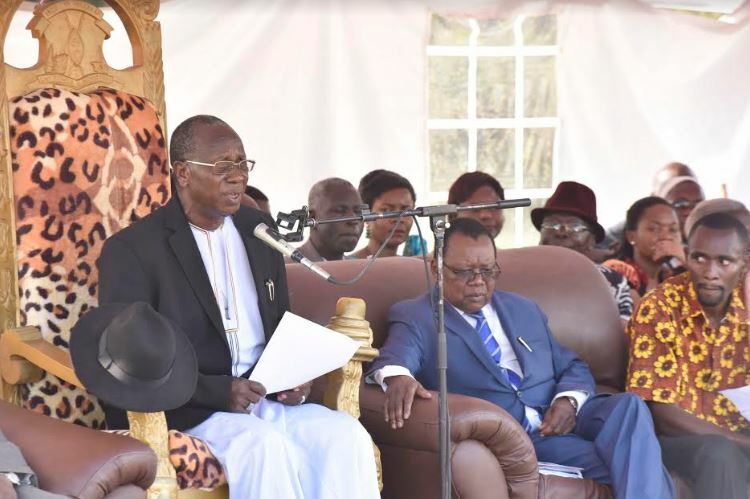 He assured the people of the Elgon Region that government is going to establish an Industrial Park on 600 acres of land for factories for employment opportunities for the youth citing the case of Tororo town in Eastern Uganda. The Bamasaaba Cultural Institution Leader ‘Umukhuka we Bamasaaba’ His Highness Bob Mushikori, said that the Bamasaaba cultural institution advocates for better agricultural practices and encourages the community to plant trees, which, he said must be implemented to prevent losses of more lives caused by landslides in the area. The Minister of Energy and Minerals, Hon. Irene Muloni, commended the government for its support to the Bamasaaba cultural institution. Mr. Nicholas Wakou, who is Chairman of North America Masaaba Cultural Association (NAMCA) Convention and Festival 2017, said the Association focuses on issues affecting the area more especially on the agricultural sector, service delivery, health, culture and development, trade, investment and entrepreneurship. He reported that as people in the diaspora, they came along with investors from Texas in America.